“Fai aoyama” is stylish club in the kottou street of Aoyama there is a brand shops and cafes. It was opened in 1997, was the concept of providing such high-quality music, space, interior and atmosphere. From ancient times, it has been known as a long established club that Aoyama of fashionistas to evaluate. Wedding after-party, farewell party, DJ events, and various parties, etc, can also be used as a restaurant and bar. 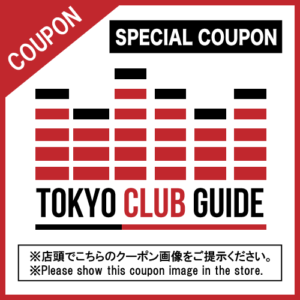 Showing the TOKYO CLUB GUIDE coupon image, entrance fee ¥500 free!